Giving your customer options isn't just about delivery, you can also add value to your customers purchase through options such as carbon offset or micro donations. This has been an online norm for a few years now with booking platforms such as Jetstar and Virgin Australia giving customers the opportunity to carbon offset their flights as well as donating to suggested charity programs. 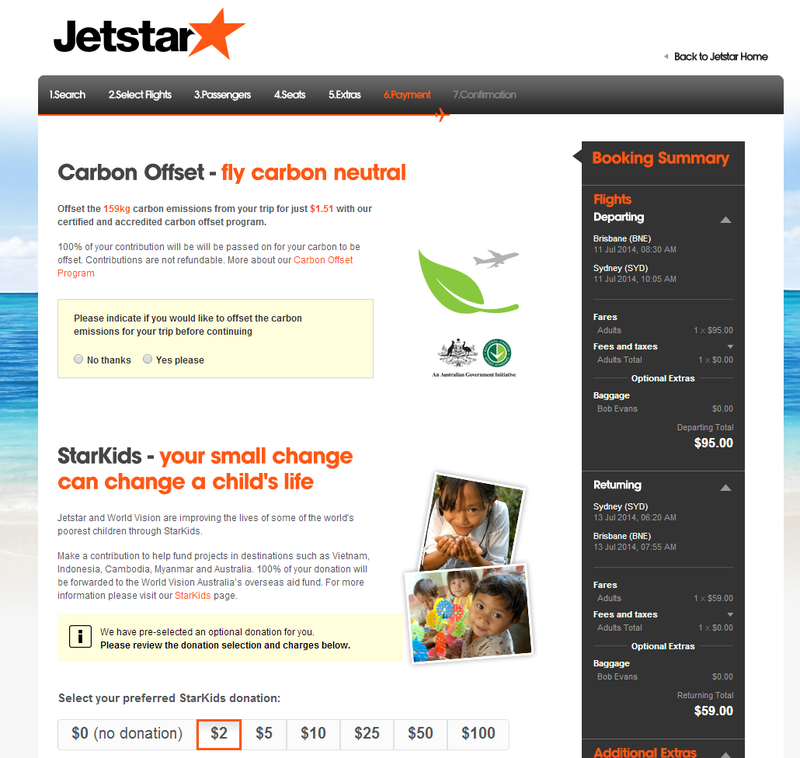 Jetstars checkout give the option to offset and donate. When using the Temando Shipping Extension in Magento you have the ability to offer your customers the option to carbon offset or make a micro donations at the checkout. Providing these alternative options not only helps with your corporate responsibility positioning, it also allows the social conscious customer to contribute to positive social change. Whilst the options may not directly impact your conversions it's a welcome addition to your brand image and all offsets are measured. In a recent public opinion poll conducted by the Lowy Institute 45% of Australian respondents now see global warming as a ‘serious and pressing problem’. Temando in co-operation with the Gaia Partnership can easily enable carbon offsets in your Magento store. The Gaia Partnership measures and offsets the carbon from the courier delivery through programs such as Tasmanian Native Forest Protection Project. Anaconda is a great eCommerce example of a business dedicated to corporate responsibility. Anaconda have configured their Magento store to display carbon offset as optional at the checkout. Anaconda have Carbon Offset enabled at the checkout. Along with carbon offsetting, you can also enable micro donations to a charity. Through the Temando Shipping Extension for Magento you can offer a micro donation to the Footprints Network. The Footprints Network funds projects such as Keeping girls in school Uganda, Kids clean water project Mpofini village and other worthy projects. If you have selected optional or mandatory it will appear in your checkout in the shipping section. Enabling these options at the checkout is a great value add for your social conscious customer.